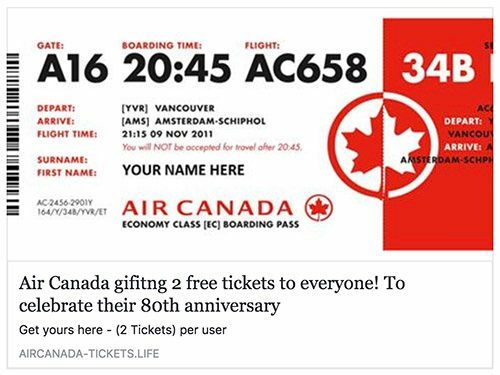 Airlines are not giving away free tickets or spending money to Facebook users who share and like a page. Those offers are a form of online scam. 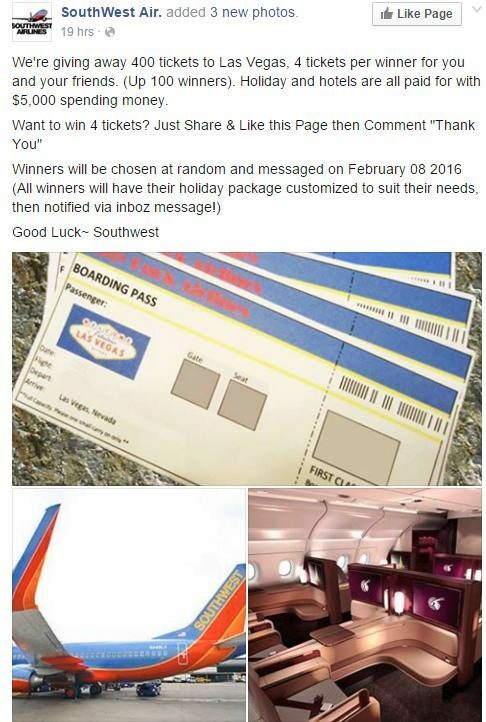 Airlines are giving away free tickets or spending money to Facebook users who share and like a page. 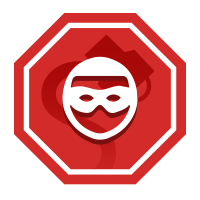 The primary type of free ticket fraud is the “sweepstakes scam,” which is intended to lure victims into completing numerous surveys, disclosing a good deal of personal information, and then agreeing to sign up for costly, difficult-to-cancel “Reward Offers” hidden in the fine print. 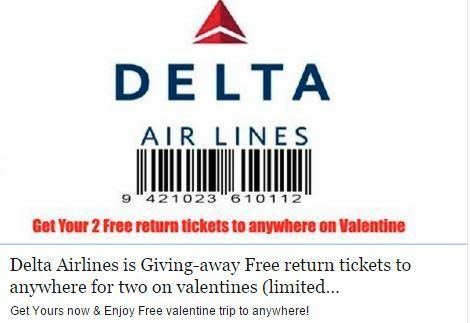 The scammers spread links via e-mail and Facebook that purport to offer free air travel tickets to those who follow those links. Pursuant to the Terms & Conditions, you are required to complete 2 of the Reward Offers from the above. You will need to meet all of the terms and conditions to qualify for the shipment of the reward. For credit card offers, you must activate your card by making a purchase, transferring a balance, or making a cash advance. For loan offers you must close and fund the loan. For home security and satellite tv offers you must have the product installed. You may not cancel your participation in more than a total of 2 Reward Offers within 30 days of any Reward Offer Sign-Up Date as outlined in the Terms & Conditions (the Cancellation Limit). Similar phony free ticket lures are used to spread malware. In those versions of the scam, those who attempt to reach the URL provided for the purpose of claiming the free tickets are instead victimized by a Facebook “lifejacking” attack, a malicious script that takes over a user’s Facebook profile without their knowledge and propagates itself to their friends’ accounts as well. In short, those who seek “free” merchandise generally end up paying a dear cost for it.